The application period is now open for the 25th class of the United Fresh Produce Industry Leadership Program. Since its launch in 1995, more than 250 produce industry members have graduated from this exclusive program, thanks to the generous support of founding sponsor Corteva Agriscience. The United Fresh Produce Industry Leadership Program is the only ongoing, fully paid leadership program for the produce industry. Each year, fellows are selected to participate in the program which is developed around four fundamental goals: leadership development; business relationships; government and public affairs; as well as media and public communications. During the year-long program, fellows will participate in a series of four customized trips, focusing on face-to-face meetings, hands-on training with top industry experts and educators, interactive experiences with influential leaders in Washington, and more. The fellows of Class 25 will be named at United Fresh 2019 Convention & Expo June 10-12 in Chicago. Participation in the program is limited to 12-15 fellows who are selected by an advisory committee. The fellows are chosen from a broad cross-section of the industry to represent the breadth of the United Fresh membership. Candidates interested in applying for the 25th class can download an application at www.unitedfresh.org. Applications must be submitted by March 29, 2019. Eligibility to participate in the program is limited to representatives of United Fresh member companies. All candidates must have the support of their companies to participate. Member companies may submit one application per company. There is no cost to participate in the fellowship and all regular expenses are covered by the program. For full details, including program eligibility and to download the application, visit www.unitedfresh.org or contact Amanda Griffin, Senior Director of Education & Member Programs at 202-303-3412. 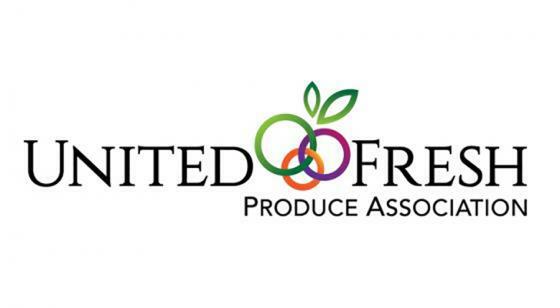 Founded in 1904, the United Fresh Produce Association brings together companies across every segment of the fresh produce supply chain, including growers, shippers, fresh cut processors, wholesalers, distributors, retailers, foodservice operators, industry suppliers and allied associations. We empower industry leaders to shape sound government policy. We deliver the resources and expertise companies need to succeed in managing complex business and technical issues. We provide the training and development individuals need to advance their careers in produce. Through these endeavors, we unite our industry with a common purpose – to build long-term value for our members and grow produce consumption.